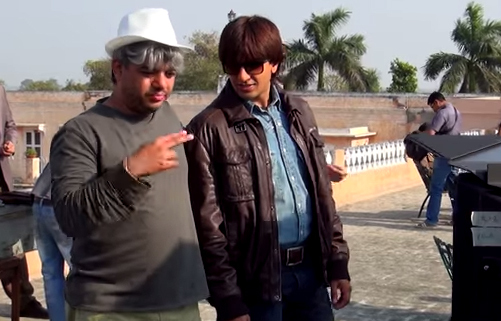 Not everyone knows that Ranveer Singh and Shaad Ali share a very strong friendship. At the age of 16, when Ranveer Singh met Shaad Ali at a party, the two bonded very well over their passion, Mainstream Hindi Cinema. The actor and the director grew into being thick friends after that. Before Ranveer made his debut in Bollywood, the actor assisted Shaad Ali for more than a year on advertisement projects. Shaad is like an older brother for Ranveer, and holds a very special place in the actors life. The two share a very dynamic equation, having a deep understanding. It had always been Ranveer’s dream to be directed by Shaad Ali, which has come true with his upcoming release Kill Dil. The film, also starring Parineeti Chopra, Ali Zafar and Govinda is slated to release on November 14.